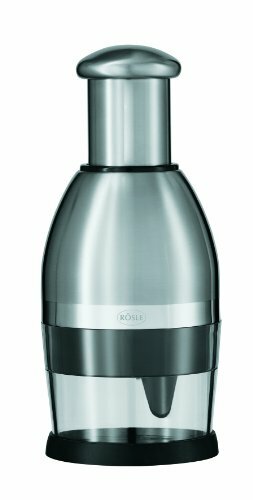 With the rosalie spice mill, meals can be refined and perfected with a single turn of the grinder. Depending on individual wishes, one can select between any one of 5 different grinding levels. 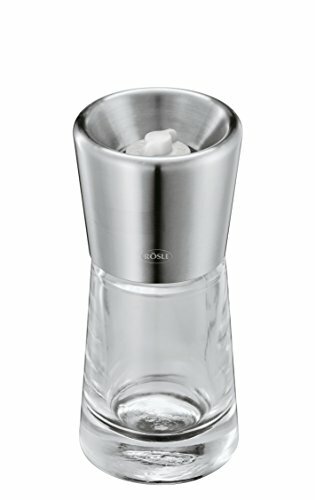 The mill has a robust ceramic grinder, which with salt can also be used. Ideal for grinding pepper-corns, coarse sea salt as well as own spice mixtures, adding the finishing touch to meals. 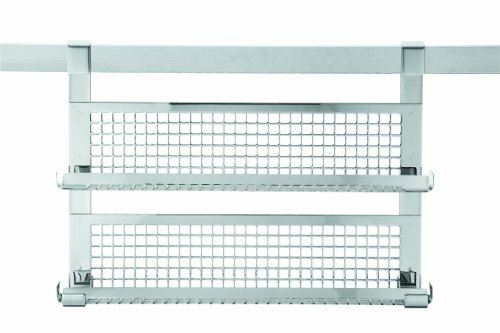 The Rosle Large Rack hangs from your Rosle Rail System to accommodate spice jars, specialty oils and vinegars, and dry goods like flour and sugar. 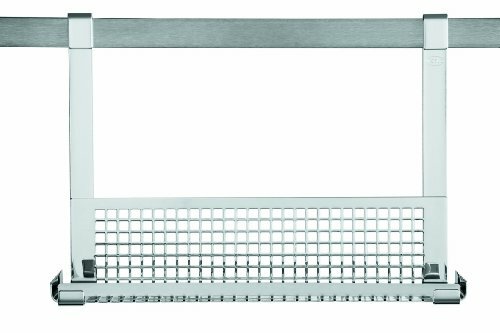 Made of solid 18/10 stainless steel, this rack can be used with Rosle Open Kitchen Gridwalls, basic rails and single attachment units. For premium-quality kitchen tools and innovative storage, look no further than Rosle. Chops up onions, herbs, chocolate, nuts etc. The automatic rotating blade assembly provides quick and efficient cutting results. The ergonomic press knob ensures convenient and effortless work. 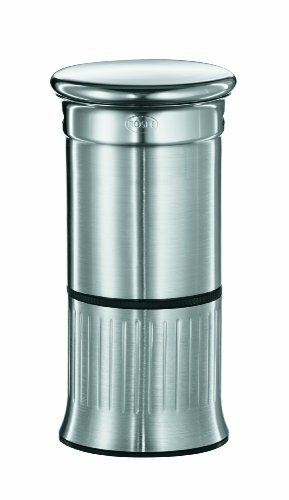 New from Rosle, the Food Mill is redesigned with a sturdy stainless steel construction and designed to meet the demands required by milling and processing. The mill rests on 3 points to guarantee stable positioning. It comes with 2 disks of 0.1cm/.04 in and 0.3cm/0.1in. 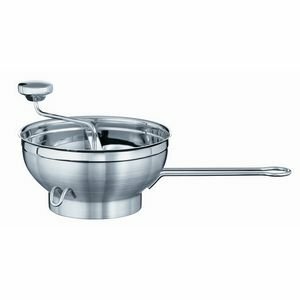 Rosle's been manufacturing kitchen utensils for more than a hundred years for professionals and hobby cooks who enjoy cooking and take pride in their skills. Food at the cutting edge – Graters and Slicer incorporating intelligent technology. The new Grater generation provides maximum performance and outstanding results: Specially sharpened edges minimize effort required Molded lead up area for an ideal start. Concave surface guides food into the central area Angled wire frame for secure rest position on top of bowls Silicone rest promotes non slip work at any angle that you choose .The Fine Grater's surface is made to suit its task: It's ideal for processing spices, seasoning and for adding a decorative finish. The extra fine edges transform different types of foodstuff to the desired texture and consistency. Parmesan cheese is turned into typical curls. Chocolate, nutmeg or cinnamon into fine grains. And roots like ginger turn out as a fine puree. Ideal for: ginger, chocolate, cheese, peppers, cinnamon, nutmeg. Mushrooms love to hide Sand or particles of soil underneath their heads. The fine bristles glide through the dense gills and simply brush out these particles with gentle pressure. Ideal for chanterelles or mushrooms and other sensitive vegetable varieties. Looking for more Rosle Spice similar ideas? Try to explore these searches: Steam Engine Plans, Botanical Hydrating Shampoo, and Welcome Wagon. Installing the Rosle Open Kitchen!